On March 19, 2012, an Islamist gunman named Mohammed Merah entered the schoolyard of the Ozar Hatorah Jewish school in the French city of Toulouse. 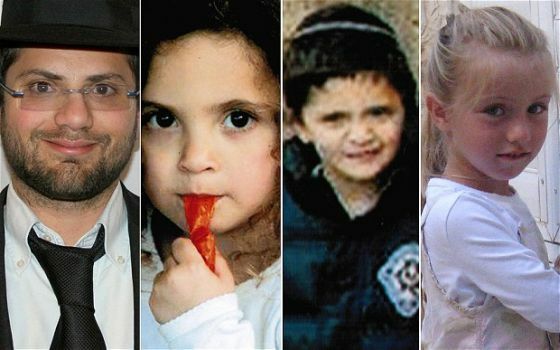 In quick succession, Merah, a product of jihadi training camps in Afghanistan and Pakistan, murdered Rabbi Jonathan Sandler and his two sons, 6 year-old Aryeh and 3 year-old Gabriel, and 8 year-old Miriam Monsonego. Three days later, Merah himself was killed by French police following a siege at his apartment. Two months after that, Manuel Valls was appointed as France’s interior minister, and plunged headlong into the fallout from Merah’s killing spree – during which three French paratroopers were murdered and one more was wounded in the same nine day period as the attack on the Jewish school. Initially frustrated by the insistence, on the part of former domestic intelligence chief Bernard Squarcini, that Merah had acted alone, Valls fought back. He publicly repudiated the “lone wolf” theory in January 2013, hours before the first of Merah’s accomplices were arrested. Former Prime Minister Manuel Valls appeared in Los Angeles in December to addressed European Leadership Network's fundraiser in Beverly Hills in December. - Graffiti on Jewish-owned homes warn the owners to "flee immediately" if they want to live. Anonymous letters with live bullets are dropped into mailboxes of Jews. - Laws meant to punish anti-Semitic threats are now used to punish those who denounce the threats. A new edition of a public school history textbook for the eighth grade states that in France it is forbidden to criticize Islam. - Those French Jews who can leave the country, leave. Most departures are hasty; many Jewish families sell their homes well below the market price. Jewish districts that once were thriving are now on the verge of extinction. - "The problem is that anti-Semitism today in France comes less from the far right than from individuals of Muslim faith or culture". — Former Prime Minister Manuel Valls. Without the Jews of France, France would no longer be France, said Former Prime Minister Manuel Valls in 2016 . But he did not do anything (about it). Recently he claimed that he had done his best, that he could not have done more. "The problem," he said, "is that anti-Semitism today in France comes less from the far right than from individuals of the Muslim faith or culture." Valls, however, quickly suffered the consequences of his candor. He was elbowed to the margins of political life. Muslim websites called him an " agent of the Jewish lobby" and a "racist." Former leaders of his own party, such as former Foreign Minister Roland Dumas, said that Valls' wife is a Jew and hinted that he was "under the influence". French politicians, right or left, know that political correctness reigns, and that transgressing its unwritten rules leads to being excluded from the media and effectively ostracized. They know that some words cannot be used any more in France, and that "anti-racist" organizations ensure that no one can criticize Islam. Prof. Guy Milliere - Liberal authorities cow to Muslim/leftist hostility; force Jewish citizens to flee. Antisemitism is intensifying in France. It is essentially a Muslim anti-Semitism, and neither the government nor the major media speak of it. It is an anti-Semitism that attacks, kills, and mutilates. Jews leave cities and neighborhoods that have become too dangerous. They leave France if they can. If current trends do not reverse, France will lose its Jewish population, and by losing it, it will lose a crucial part of its soul and its culture. It is outrageous and revolting. Last Wednesday, January 10, 2018, a 15-year-old girl was attacked on her way out of a Jewish school in a neighborhood called "Torah Center". The attack took place in the city of Sarsel, north of Paris, when a man hit her head and destroyed her face with a sharp tool. After the attack, the girl's parents filed a complaint at the local police, which opened an investigation to find the suspect. The Jewish community in the town is shocked and scared by the manifestations of anti-Semitism and violence against it, when the girl's assault illustrates the escalation which they experience. Guy MILLIERE - "L’ANTISEMITISME MUSULMAN CHASSE LES JUIFS DE FRANCE"
L’antisémitisme redouble d’intensité en France. C’est un antisémitisme essentiellement musulman, et ni le gouvernement ni les grands meédias n’en parlent. C’est un antisemitisme qui agresse, tue, et mutile. Les Juifs quittent des villes et des quartiers devenus trop dangereux. Ils quittent la France s’ils le peuvent. Si les tendances actuelles ne s’inversent pas, la France perdra sa population juive, et en la perdant, elle perdra une part cruciale de son âme et de sa culture. C’est indigne et révoltant. "Why Gentiles should respect and defend Jews & Israel against jihad" - Gentile, French academic, Guy Milliere. The Jews have contributed gifts to Western civilization which Christians should respect and protect them against enmity and resentment, the French law-history professor says.